Ever dream of being a world-famous skier or snowboarder? If you're a resident or student in the Granite State, you might be in luck. For decades, Ski New Hampshire member resorts have been coming together to help foster the competitive spirit by offering grants to young skiers and riders. The Friends of New Hampshire Skiing Grant Program is designed to help offset the extra costs of race training and travel, and let athletes concentrate on their form instead of their finances. Since its inception as Friends of UNH Skiing in 1978, the program has raised more than $850,000. This past season, $37,000 was raised through ticket sales. The tickets, donated by Ski New Hampshire member resorts, are packaged and sold to the public with all proceeds dedicated to supporting the training of these athletes. This year's deadline for submitting a grant application to Ski New Hampshire is Nov. 30. The Friends of New Hampshire Skiing Grant helps aspiring athletes go big. 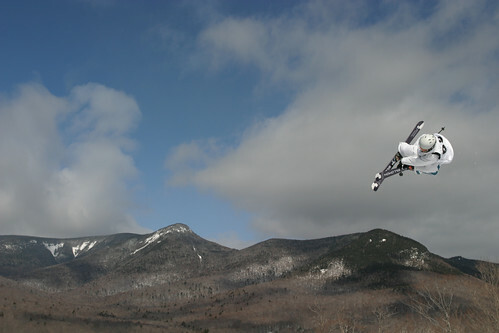 Photo Courtesy of Ski New Hampshire. College athletes and post-graduate athletes training for international competition are eligible. Interested athletes must have a New Hampshire affiliation either through residence, college or ski club. The grants are awarded based on need and an athlete's past performance and his or her ability to be in serious contention for a national team or the equivalent. To receive a grant application by mail, contact Ski New Hampshire at 800-887-5464 or email Ski New Hampshire at media@skinh.com. The grant application can also be downloaded from Ski New Hampshire here.